Last week, the office of Switzerland’s National Contact Point (NCP), which promotes Swiss compliance with various OECD guidelines, quietly issued what may turn out to be a very important ruling. 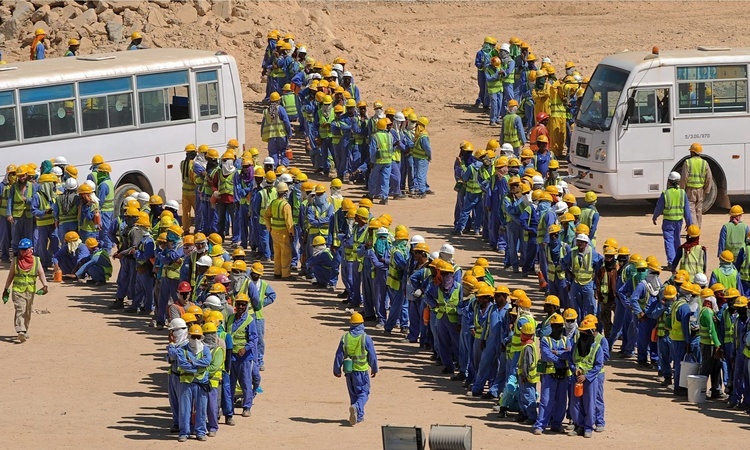 The NCP accepted a petition from the Building and Wood Workers’ International (BWI) regarding FIFA’s obligation to protect migrant construction workers in Qatar, the planned venue for its 2022 World Cup tournament. The ruling essentially rejected FIFA’s arguments that as a not-for-profit it is exempted from OECD guidelines, and that the organization cannot directly influence standards in Qatar. The NCP will now host a dialogue between BWI and FIFA, with the aim of reaching an agreement between the two parties. In addition addressing the ways in which FIFA can help ensure improved labor standards in future hosting scenarios, the parties will discuss steps the sports governing body can take to pressure the Qatar Government to better protect the rights of workers already there. Several contingencies will determine whether the ruling will have a meaningful impact on the situation of migrant workers in the Gulf and beyond. The first is whether the upcoming discussions will lead to an agreement essentially in line with BWI’s demands, or if FIFA will once again fail to commit to significant measures. The second revolves around the question of specific leverage points that FIFA may have vis-à-vis Qatar. FIFA will likely continue to argue, as it consistently has, that it cannot influence the situation because hosting rights have already been awarded to Qatar and because it does not control the companies undertaking construction projects there. In reality, FIFA can threaten to initiate proceedings to rescind Qatar’s hosting rights, and can work with its own corporate sponsors on strategies for change. Moreover, while the ruling to accept BWI’s petition does not carry broader legal force, the decision and ensuing dialogue can serve as important precedents for other OECD states grappling with the supply chain responsibilities of multinational corporations based in their respective jurisdictions. This particular case relates to a Swiss-based sporting entity's business relationship with a Gulf government, but it would not be difficult to argue that the same thinking should apply to Swiss-based construction firms that operate internationally, and eventually to construction firms and other companies based in all OECD member states. If the dialogue does result in a set of meaningful commitments, it could form the basis for broader discussions on these industries’ roles. This is not the first time that the Swiss NCP has entered the fray on corporate supply chain responsibility. In 2011, it accepted a complaint by the European Centre for Constitutional and Human Rights (ECCHR) against a Swiss-based company that the ECCHR alleged had purchased cotton produced by child labor in Uzbekistan. The resulting dialogue led to an agreement on steps the company would take to help fight the phenomenon. The ruling reinforced other high-profile civil society campaigns on the issue, and over the past few years the number of child laborers working on cotton in Uzbekistan declined. Now, the Swiss NCP and BWI have given FIFA officials yet another – and maybe final – opportunity to take meaningful action for the rights of workers in Qatar. Let’s hope they don’t once again pass it up.